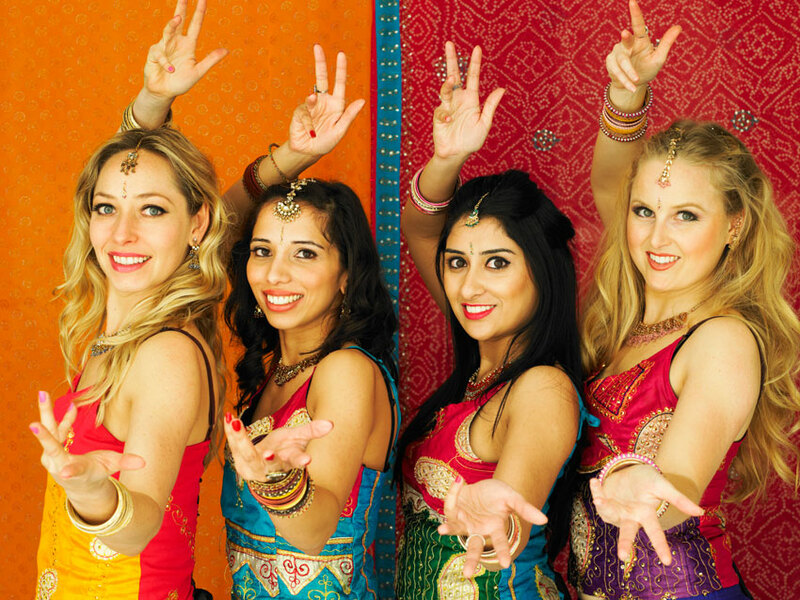 Leading professional dancers, The Bollywood Secret Dancers Show provides amazing Bollywood performances and workshops throughout the UK and abroad. 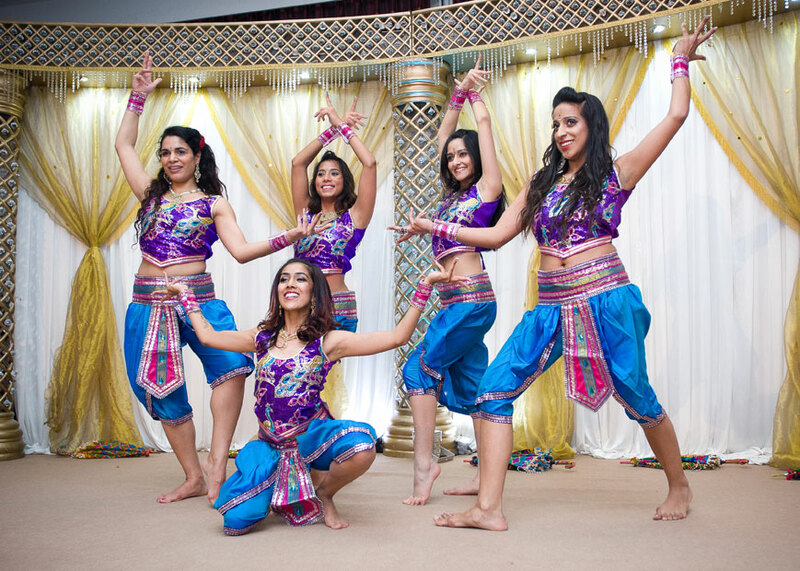 Their stunning troupe of professional dancers and beautiful costumes will guarantee to add that wow factor to any occasion, and bring the Bollywood sparkle! 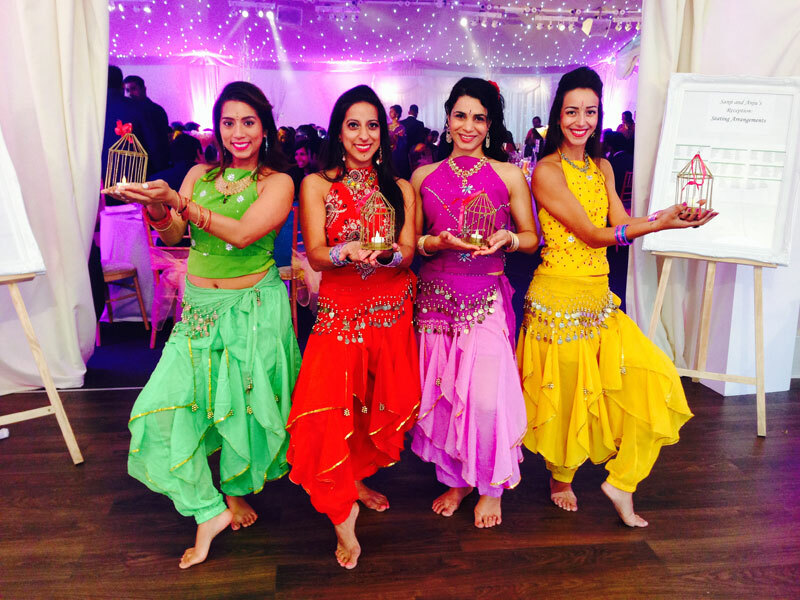 They like to offer different options to clients, and have their female dancers, a Secret Bollywood Waitress act which is going down a storm, and also their Break-dance and Bollywood act which will wow your guests with the male dancers' spectacular moves! 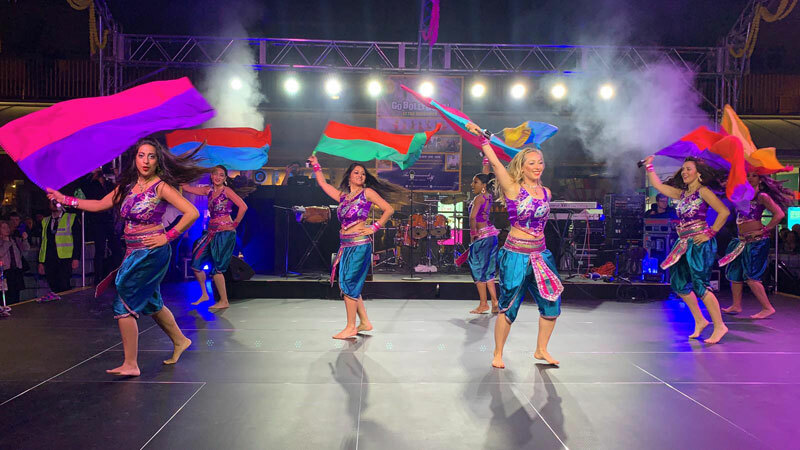 Their performances include a medley of popular Bollywood songs which everyone will recognise, which are fast-paced, energetic and really good fun to watch. 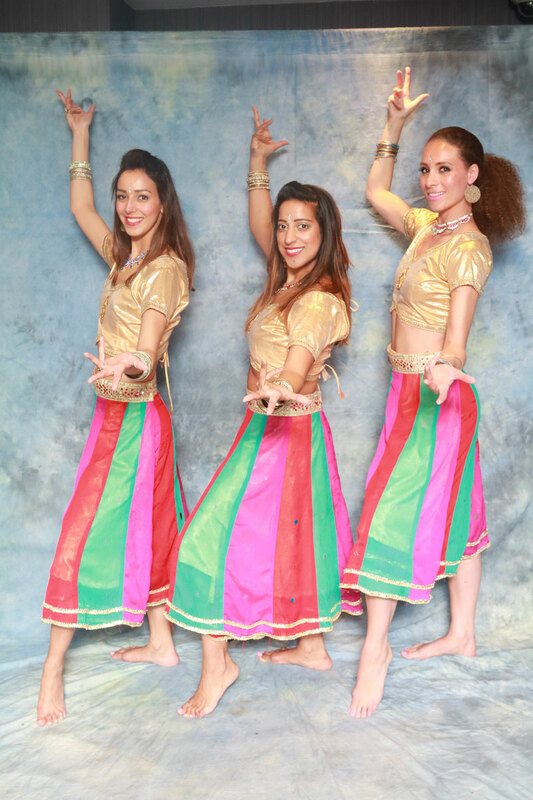 Our dancers wear beautiful costumes and will change to wear different costumes in each performance. We also use props in the performances to, to wow your guests. 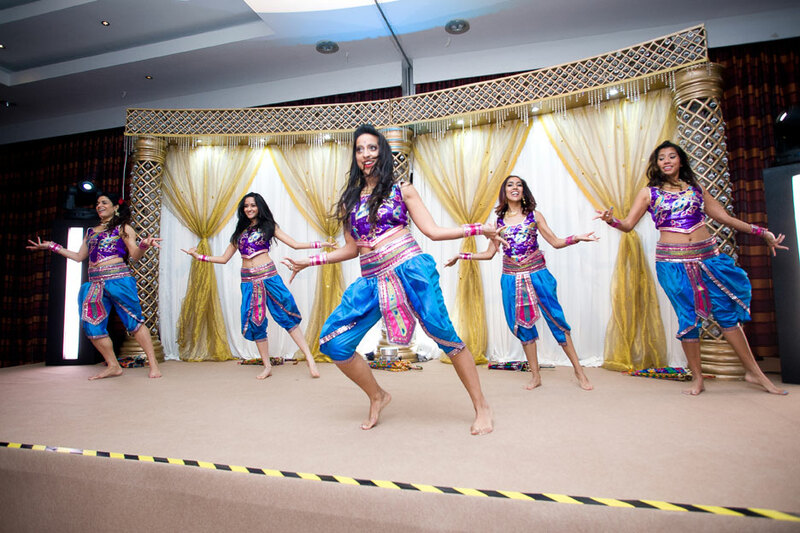 We normally provide two performances at events, both around 10 mins long each. This option starts with 30 mins of the girls dressed as waitresses and serving drinks to your guests. Then they create a 'scene' which leads into the first Bollywood performance which no one will be expecting! This flash-mob performance is around 10 mins. 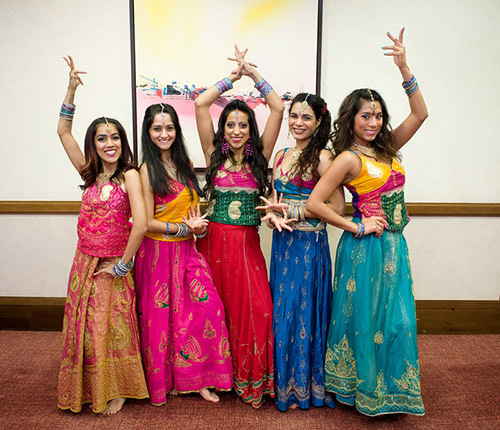 Their performances include a medley of popular Bollywood songs. If you want the dancers to come back and provide another performance in the evening with a costumes change they can do that as well. 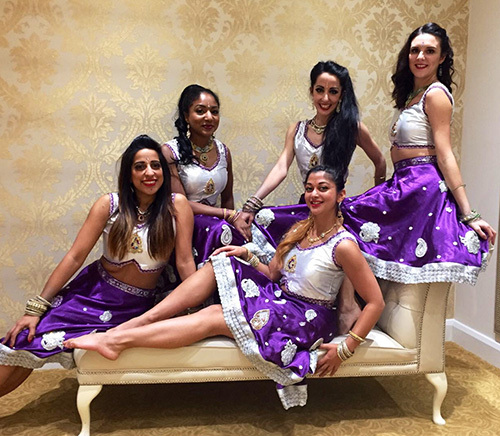 These dancers wear beautiful Bollywood costumes underneath the waitress costume, and will change to wear different costumes in each performance. They will provide the waitress costumes to coordinate with the venue's staff. They do 2 x 10 min performances. This group also offer dance workshops so that you can get your guests dancing to the beats of Bollywood. 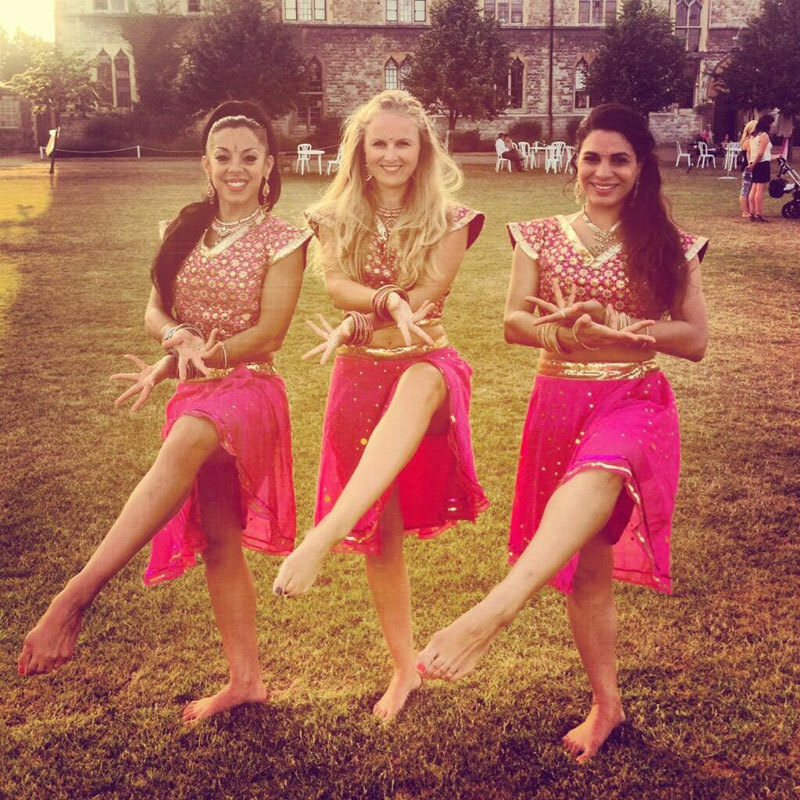 It’s usually a 30 min session where one of the dancers will teach all your guests some simple Bollywood moves (with the other dancers helping out), and then everyone will perform this together to a popular Bollywood song. It's a really fun way to bring people together at a event, and get everyone in the mood for a party and a good dance! They also bring prizes to hand out to guests. 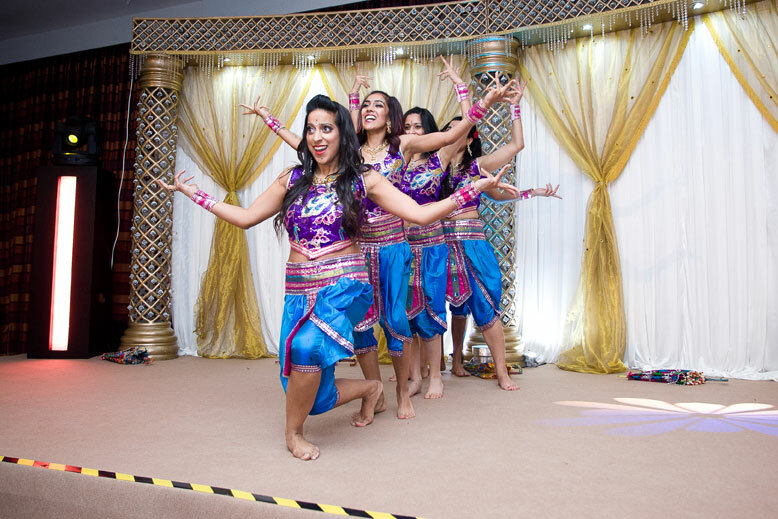 The Bollywood Secret Dancers also offer Bollywood kids parties, and hen party packages. Advertised fee is for 2 dancers within London.